I adore cakes that are not overly sweet and contain fruit. 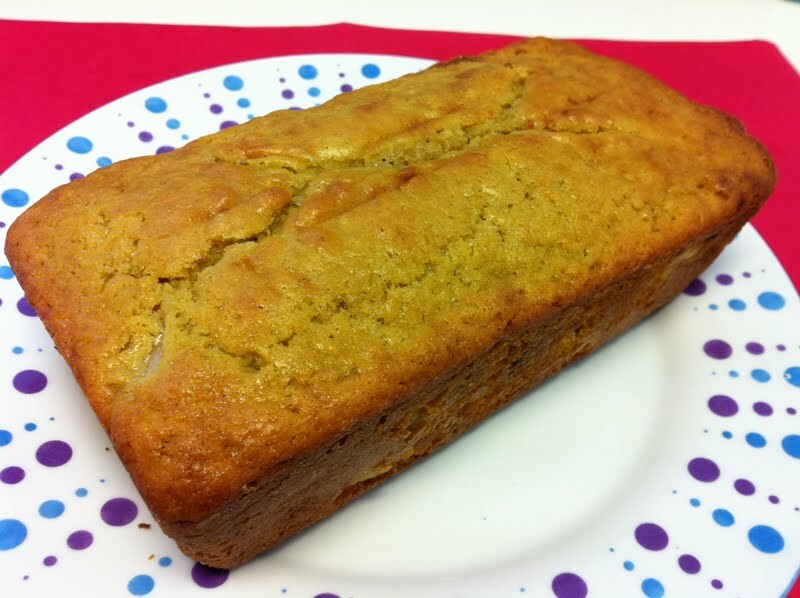 This week's Tuesday with Dorie recipe, chosen by Caitlin of Engineer Baker, was Cornmeal and Fruit Loaf, and ticked all of my boxes. 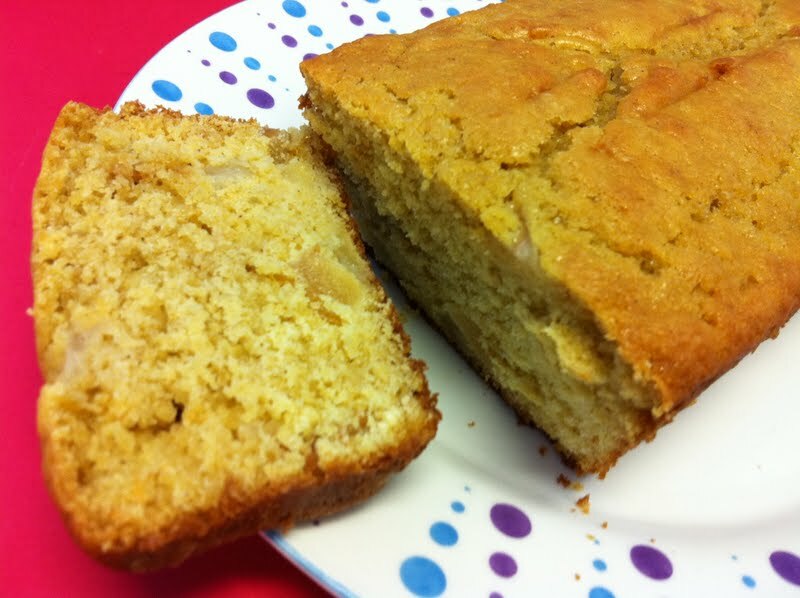 This cake was light, with a bit of crunch from the cornmeal, and sweetness from fresh and dried pear. I really enjoyed this cake and would definitely make it again. Thanks to our host, Caitlin, for choosing this recipe. 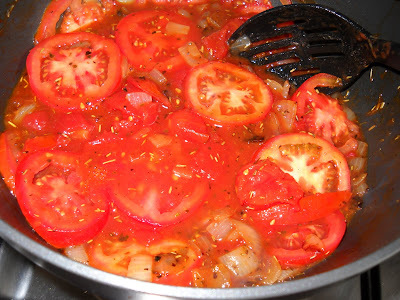 Caitlin will have the recipe on her site, or you can find it in Dorie's book. If you want some other views on this cake, visit the LYL section of the TWD website. I am a chocoholic, and I have always wanted to try making homemade chocolates, so I was pretty pleased with this month's Daring Baker's Challenge. I don't think I liked the look of them as much after that! Of course, they still tasted good. These were disappointing because they didn't set as firmly as I would have liked, and they were uber-sweet, even for a lolly lover like me. I think I would try a different recipe if I made them again. Thanks to Mandy and Lisa for hosting us this month, and finally giving me the motivation to make homemade chocolates. Now I know how easy it is, I will make these again. To see a kaleidoscope of different candies and chocolates, view the slideshow on The Daring Kitchen website. Today's song: You've Got To Hide Your Love Away by The Beatles, in honour of Brian Epstein, who passed away on this day in 1967.
and the whole lot is placed on a burger bun, as shown at the top of this post. If you are so inclined, you can decorate the plate with dill pickles, but I also skipped this. I am not sure that this burger was so good as to be subversive, but it was definitely delicious and beats the pants off the cardboard offering at your local greasy spoon. I served my burger with Outback Spirit wild rosella cranberry relish one night, and with Cooper's Ale barbeque sauce the next - both combinations were good. Just like Tricia S's teenagers, I didn't dislike this, but I wouldn't run out to make it again either. There was a lot of criticism of Bec's hair and dress on Facebook. 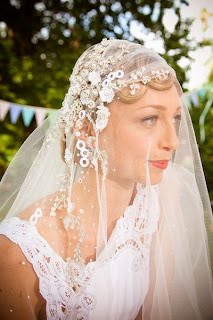 Personally, the dress was not my style (too much like a doily), but I loved the much-maligned veil and hairdo - anything inspired by the 1920s wins my heart, and I thought Bec looked great. Who doesn't like a nice piece of cake with their cup of tea? I am sure there are people who don't, but I am not one of them. A cake that is perfect with a cuppa is Orange and Poppyseed Cake, just like this handsome bundt I made from p110 of the June 2011 edition of Australian Delicious magazine. This cake was quite dense, and the orange flavour was not as pronounced as it might have been, but the cake was still delicious. I skipped the glaze that was recommended with the recipe and served my cake as is. Preheat your oven to 180 degrees Celsius. Grease and dust with plain flour a 20cm bundt pan. Put the poppy seeds and milk in a small saucepan and heat to just below boiling point, then remove from the heat and set aside to cool. In a stand mixer, beat the butter and sugar until thick and creamy. Add the eggs, one at a time, beating well between each addition. Sift the flour, baking powder and bicarbonate of soda together into a clean bowl. Add one third of the flour mixture to the butter mixture and stir until just combined. Add half the milk and poppyseeds to the batter and combine. Repeat with the remainder of the flour and milk mixtures, ending with flour. 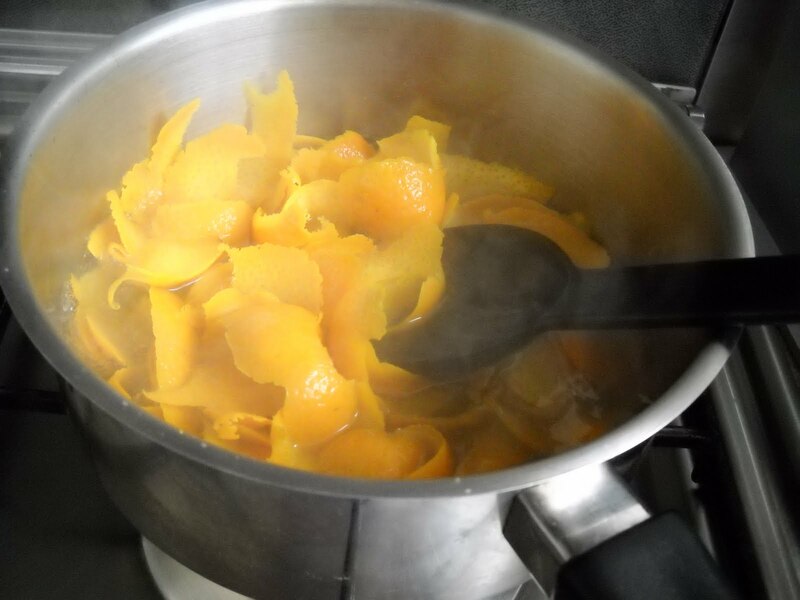 Stir in the seeds from the vanilla bean or the vanilla extract, together with the orange juice and zest. Pour the batter into the prepared bundt pan and bake for 50-60 minutes or until cooked through. Remove the cake from the oven and cool it in the pan for 5 minutes, then turn it out onto a wire rack to coll completely. Once the cake is cool, you can glaze it if desired. Mmmmm - there's nothing better than the smell of rich, buttery baked goods baking in the oven, or the sight of a golden loaf when it comes out of the oven. This week, Margie of Tea and Scones brought us that experience with her choice of Tuesday with Dorie recipe - Dorie's Golden Brioche Loaves. The brioche had a glossy, golden brown crust, and inside, was as yellow as butter itself. The taste was more akin to cake than bread, and the brioche tasted wonderful spread with jam on one occasion, and honey on another. Dorie's recipe made two loaves, so with the other, I made a brioche apple tart that I will show you another day. If you make this, don't make a half batch - the dough freezes for months, and you can make so many other things with it, including Dorie's brioche snails and pecan sticky buns. Thanks to Margie for pushing me outside my comfort zone this week - this brioche recipe was a brilliant find. To check out the recipe, visit Margie's site or buy Dorie's book, and to check out how the other TWD bakers fared with their golden brioche loaves, visit the LYL section of the TWD website. No French Fridays with Dorie for me again this week - I have been very busy and just did not get a chance to make this week's Eggplant Caviar (a dip similar to baba ghanoush). If you'd like to see it, do visit the LYL section of the FFwD website. Instead, I am posting an easy Spinach and Feta Filo Pie by Jamie Oliver from his smash hit cookbook, 30 Minute Meals. 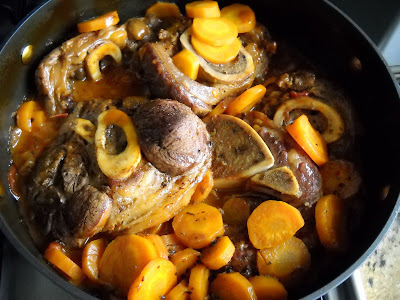 The recipe can be found online here. Jamie uses olive oil between the layers of filo instead of butter, which in my view makes it healthier. As well as spinach and feta, this pie contains toasted pinenuts for additional texture and flavour - don't skip them, as they really make the pie. It is a fantastic light meal when served with some fresh cooked veges - in my case, cauliflower and beans. Do you sometimes like to dream that you are drifting away on calm seas on a luxury yacht, stretched out on a banana lounge, shading umbrella overhead, with a tall cool glass of something soothing, while the sun shines in the blue sky? Me too, especially in winter. This week's Tuesday with Dorie helped me to dream of a tropical paradise. It was Tropical Crumble, and it was my pick - so exciting! This crumble was non-traditional in that the crumble was quite buttery and soft, punctuated only by chopped nuts. When someone says "crumble", I usually think of a crisp, crunchy topping. However, that didn't stop me from liking this dessert - beneath that topping lurked caramelised bananas and mango, and in my case, it was atop a pastry base so that I could serve it like a slice. It was very tasty! 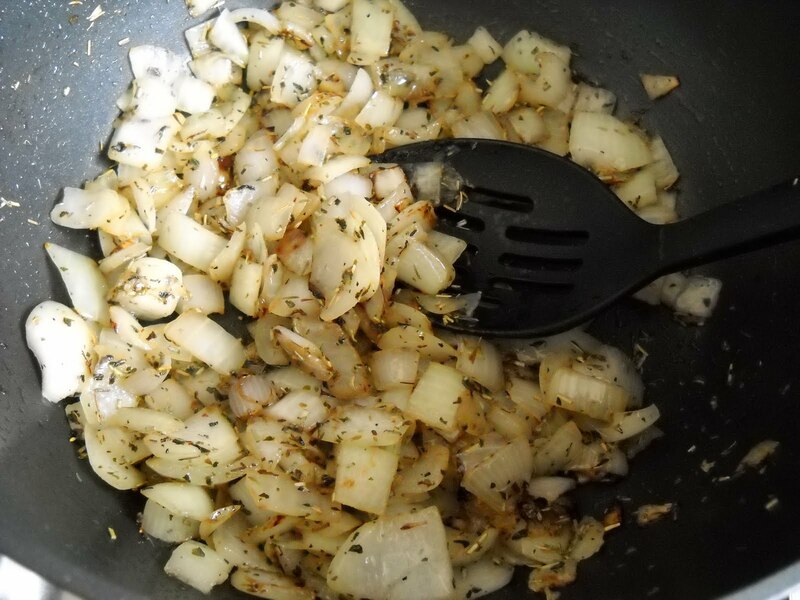 Melt the butter in a frypan over high heat. Sprinkle the sugar over the butter, and once it bubbles, add the mango cubes and cook for 2 minutes without stirring. Flip the mango cubes over with a spatula, then add the banana to the pan and cook for a further 3 minutes, turning the banana half way through so that the fruit becomes browned on all sides, but does not lose its shape. Turn the cooked fruit out into a heat proof bowl. Stir in the fresh and ground ginger and the citrus zest. Set aside. Put the butter into a food processor and process until smooth. Add the brown sugar and salt, and process until smooth. Transfer the mixture to a bowl and stir in the flour and pecans with a rubber spatula. Spread the mixture out over a piece of parchment or wax paper, and freeze for 20 minutes. Preheat your oven to 400 degrees F/200 degrees Celsius. Spoon the fruit with its liquid into the pie pan (or over the pastry crust). Remove the crumble from the freezer, and break it into topping-size, irregular pieces, and scatter these over the top of the fruit. Put the fruit crumble into the oven and immediately lower the temperature to 350 degrees F/180 degrees Celsius. Bake the crumble for 35 minutes or until it is golden on top and the fruit is bubbling. Place the crumble in its pan on a wire rack to cool. Serve warm or at room temperature - I recommend with a big dollop of vanilla icecream. Hope you enjoyed this week's TWD recipe. To see how the other TWD bakers fared with this crumble, visit the LYL section of the TWD website for this week. For French Fridays with Dorie this week, we were asked to make Salmon in a Jar. This is salt and sugar cured salmon, marinated in oil, with potatoes marinated in more oil, and served in a jar. 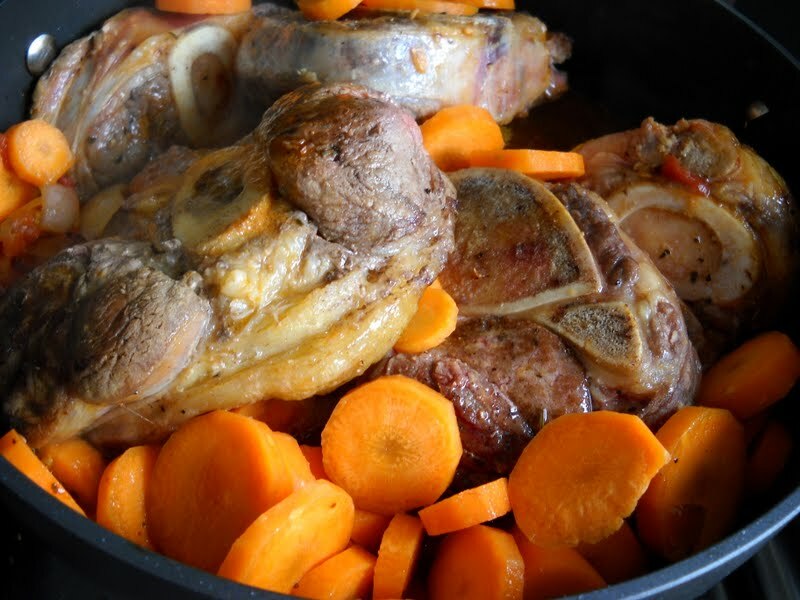 Although this dish is beloved by Michael Ruhlman, who shares the recipe here, the very thought of this dish makes me feel queasy. Salmon is a rich, oily fish to start with, so making it even more so by marinating it with vegetables in even more oil just didn't seem right to me. 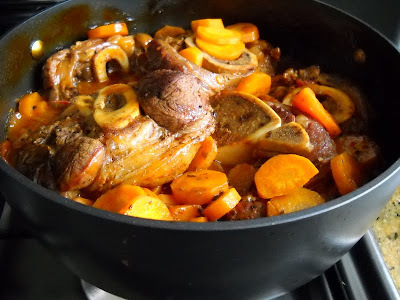 Instead, I am going to share with you some step by step process photos of Dorie's Osso Buco a L'Arman, the recipe for which is on p272 of Around My French Table, or which you can find online here. 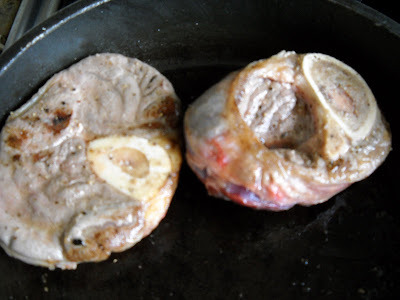 This Osso Buco is my kind of dish. To see Salmon in a Jar, visit the LYL section of the FFwD website. I have possessed Warm Bread and Honey Cake by Gaitri Pagrach-Chandra for over 12 months. Despite it being one of the most beautiful baking books that I own, I had not, until recently, baked anything from it. This is not because there was nothing I wanted to bake out of it - to the contrary, I would happily make everything in this book, given the time and inclination. It was just one of those things where time got away, and I had many other competing things to make. My motivation to finally make a recipe from Warm Bread and Honey Cake came from a pineapple in my fridge. That pineapple had arrived in my Aussie Farmers Direct fruit and vegetable box, but had languished in the fridge for quite some time before I decided I had to either use it or throw it out. The pineapple inspired me to make the cover recipe, an Ananastaart or Pineapple Tart, really being a cake from the South American country of Surinam, which until I had this book, I had never heard of before. This pineapple tart is comprised of a pastry base, which is covered with homemade pineapple jam, then finally topped with a light and airy sponge cake batter. Sterilise a jam jar by boiling in water and drying thoroughly. Set aside. Chop the pineapple coarsely, then blitz it to a puree in a food processor. In a large, heavy-based saucepan, place the pureed pineapple, sugar and lemon juice. Bring to the boil, stirring constantly, then simmer for ~ 5-10 minutes or until the jam passes the "set" test - ie place a glob of jam on a cold plate that has been chilled in the fridge, then place the plate with the glob of jam back into the fridge for a couple of minutes. Run your finger through the glob of jam - if it wrinkles and doesn't run to fill the gap, you have reached setting point. Pour the jam into the sterilised jar, seal it and allow the jam to cool completely. Sift the flour, salt and icing sugar into a large bowl. Rub in the butter until the mixture resembles fine breadcrumbs. In a cup, mix the egg yolk with 2 tablespoons of water, then add to the flour mixture and combine it with your fingertips to make a smooth pastry, adding extra water if needed (I did). Shape the pastry into a flattened disc, and chill it for 30 minutes in the fridge. Remove the chilled pastry from the fridge and roll it into a circle of 11inches in diameter. Grease a springform tin, and line it with the pastry, pressing the edges against the side. (Don't cut the edges off like I did! They help to hold the tart together.) Chill in the fridge while making the cake batter. Place the flour and baking powder in a medium bowl and set aside. In a stand mixer, whisk the eggs and egg white, sugar and lemon zest together until thick and pale. Using a rubber spatula, fold in the flour in two batches, then add the melted butter and mix until the flour and butter are fully combined into the batter. Remove the pastry base from the fridge. Spread the pastry with 250g of the pineapple jam that you made earlier, then top evenly with the cake batter. Place the tart into the oven to bake for 35-40 minutes or until the cake is golden brown. Remove the tart from the oven and allow it to cool in the tin for 5 minutes before unclipping the side of the springform pan and placing the tart on the springform pan base onto a wire rack to cool completely. Just before serving, dust the top of the tart with icing sugar. 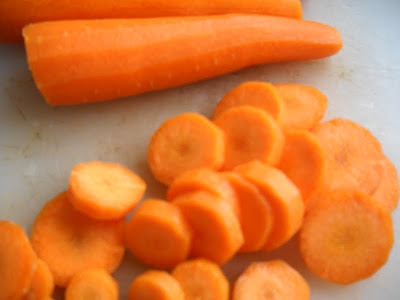 This week's Tuesday with Dorie choice is positively healthy - it contains no butter, and has oodles of carrots! Nancy of The Dogs Eat The Crumbs has chosen Dorie's Carrot Spice Muffins, described by Dorie as a muffin-version of a carrot cake, but less dense and sweet. As well as a cup of grated carrots (thank goodness for the grater attachment on my food processor), these muffins contain walnuts for some crunch, and a good dash of cinnamon. I think these muffins tasted best the next day, once all the flavours had melded. Thanks to our host, Nancy, who will post the recipe. To see what the other TWD members thought of these muffins, visit the LYL section of the TWD website. Do you like friands? I had not experienced the joy of a friand for a few years until this week, when I finally got around to making Kate McGhie's recipe for passionfruit friands from p4 of the Taste section of the Herald Sun, published 12 July 2011. These buttery yet light little cakes are an absolute joy to eat, and the passionfruit pulp in Kate's version added contrasting tang and crunch. however, they still tasted delicious, with the browner bits having a nice, caramelised crunch. Whisk the egg whites to the soft peak stage. Pour the melted butter around the inner edges of the bowl, and add the passionfruit pulp. Using a rubber spatula, carefully fold all of the ingredients together, being careful not to deflate the egg whites. Bake the friands for 15 minutes in the oven (remember, this timing is for 20 small friands - I think that 15 minutes would have been enough for my 12 regular sized friands at this temperature, so keep an eye on them!) until the friands have risen and are springy in the middle when touched. Remove the baked friands from the oven and allow them to cool for a few minutes in the tin before unmoulding. Be careful when turning out onto a wire rack to cool completely - I ran a knife around the edge of mine, but still found that they stuck a little resulting in a few casualties. Enjoy with a nice cuppa for arvo tea (as Sunday Reed was so fond of). You can enjoy this lemon curd with the friands, or spread on muffins, scones, or toast, as a cake filling, or as a sauce for icecream. And it's a great way to use up any egg yolks left over from friand making! I have just finished watching The Supersizers Go - Wartime episode on SBS. I love this show, and I am so glad that it is back, albeit in repeats. I haven't seen this episode before, so I chuckled all the way through. It is a great way to spend an hour on a Thursday night, and Giles and Sue crack me up with their take on food during each era. They are not afraid to look silly or to subject their poor taste buds and stomachs to some of the most hideous meals one could conjure. If you have never seen this show before, I highly recommend checking out a couple of episodes - if you like food and a laugh, as I do, you will be hooked. This week's FFwD recipe title says it all - simple slow-roasted tomatoes. 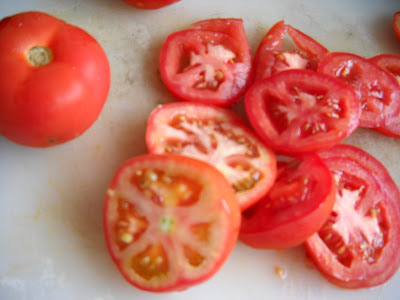 Basically, this involves dousing cherry tomatoe halves (or in my case, Kumatoes) with olive oil, salt and pepper, then roasting them in a slow oven for around 3 hours. The end result is a surprisingly tasty little snack, even a tad overdone like mine. 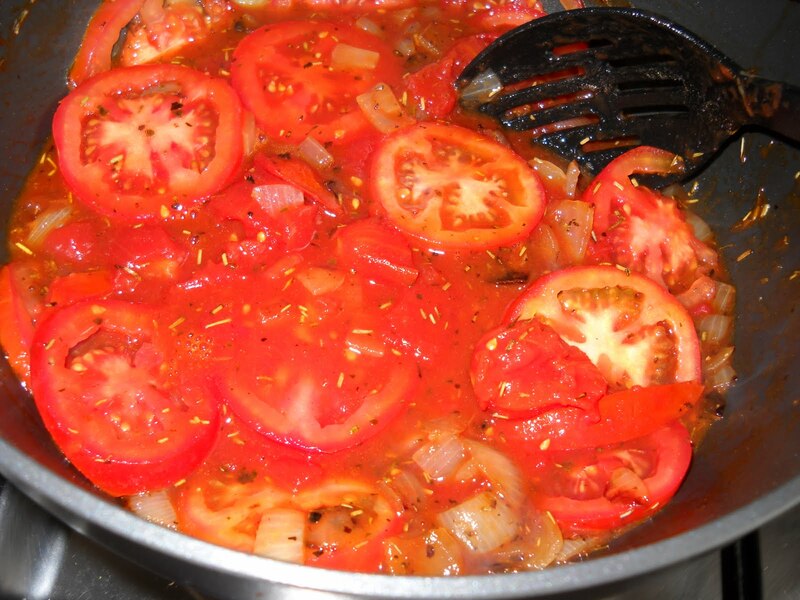 Although I would never go out of my way to make this, if I have some leftover cherry tomatoes from another recipe, I would happily use them up like this. To catch a gander at what everyone else thought of these, you can maybe check them out at the LYL section of the FFwD website in a day or two. A couple of weeks ago, my work buddy Lee told me excitedly about a cake she'd seen made on TV the night before. "It had lots of butter and sugar," she said, "and he rolled it out like a dough. It has a funny name - I will find it and email it to you." Lee emailed me David Lebovitz's recipe for Kouign Amann. Eh? Until then, I had never heard of such a thing. But sure enough, Kouign Amann (pronounced "quinn ah-marn" and translated, literally means "butter cake") is a Briton speciality with a mysterious past - was it created from a failed bread dough? However it was created, it is a buttery, sweet, yeasted, laminated dough concoction with a caramelised, toffee like sugar crust. If you can make puff pastry, you can make this. It tastes like a croissant, yet has the texture of a brioche. And it's delicious!! My additional tip when making Kouign Amann is to line your pie dish with parchment paper; and flatten rather than cubing your butter for ease of incorporation. Don't just butter your pan, or like mine, it may weld itself to the pan, and require some serious effort to remove (which is why mine looks a little battered). Smell the butter and sugar and enjoy!!! One of my favourite cakes is my Mum's date loaf. She made it often when we were kids, and as a grown up, I pestered her for the recipe, which she recited off the top of her head over the phone. Amazing!!! We used to eat this cake smothered in margarine, but now I am a grown up and don't need "sauce" on everything, I like this cake without anything on it. It is a cinch to make, and turns out moist in the middle with a crusty outside. Place the chopped dates, sugar, baking soda and butter into a medium sized bowl. 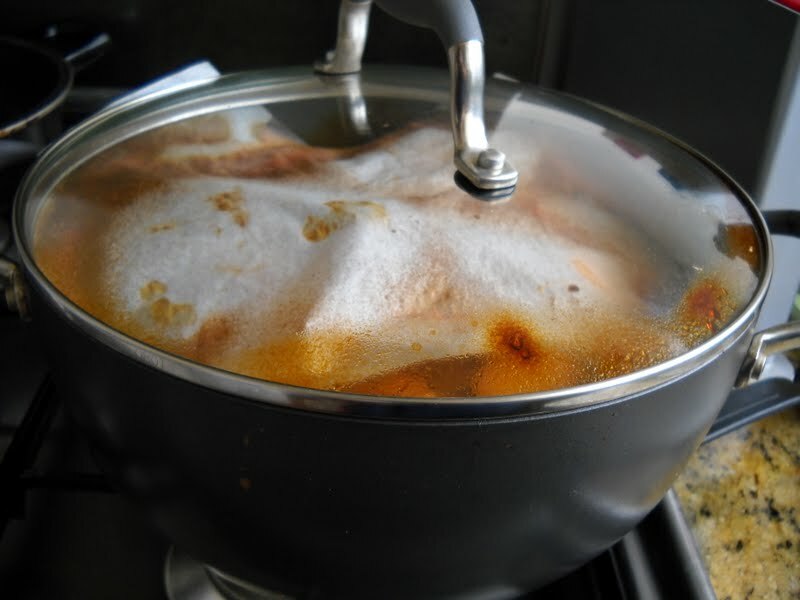 Pour over the boiling water, then allow the mixture to stand until it reaches room temperature. Add the beaten egg to the bowl, then sift and mix in the flours. Pour the batter into a greased 8" x 5" inch loaf pan, and bake in the preheated oven for ~ 45 minutes or until cooked through when tested with a skewer poked into the centre of the cake. Remove the cake from the oven, and allow it to cool in the tin for 5 minutes before turning it onto a wire rack to cool completely. Serve warm or cold, alone or slathered with butter. This date loaf was made for brekky with my comrades in the marketing department during the couple of days that I was privileged to sit among them. Don't you just love meringues? They are like ballerina tutus or fairy princess skirts that melt in the mouth. This week's Tuesday with Dorie challenge is the more robust, masculine, cocoa almond meringue, selected by Mike of Ugly Food For An Ugly Dude. In fact, Dorie describes these meringues as resembling rocks in appearance, although they still have that wonderful melt in your mouth quality of the more dainty variety. These are delightfully chocolatey, and tasted good even when they were not quite ready to come out of the oven (I tried one at the end of an hour's baking time and it was still quite wet in the middle). The baking requirements for this challenge were a little complicated for me because my oven (a) does not work below 160 degrees Celsius; and (b) does not cope with more than one tray in at a time. To get over (b), I made massive meringues (I had 9 to Dorie's 30). Tackling (a) was a little more difficult, and I ended up baking the meringues at 160 degrees the whole time instead of starting hotter and switching down. Even then, my meringues took a good hour and a half to bake properly. These meringues were well worth the trouble though - they were absolutely delicious, and disappeared so quickly that I am sure that there cannot be any calories in them. Thanks to Mike for this week's pick - he will have the recipe, or check out Dorie's book, Baking From My Home To Yours. And to check out what the other members of TWD thought of these meringues, visit the LYL section of the TWD website. Recently, Tim and I celebrated Christmas in July at The Elephant and Wheelbarrow in Bourke Street, Melbourne. So what is Christmas in July? Australians celebrate a mock Christmas in the month of July so that we can indulge in all of the heavy, hot traditional Christmas fare that many of us avoid in the soaring heat of December. The Elephant and Wheelbarrow feast did not disappoint - after receiving our choice of a glass of beer or red or white wine, we were served with a Christmas dinner replete with ham, turkey with cranberry sauce, stuffing, baked potato, asparagus, cauliflower and brussels sprouts, topped with a generous splosh of gravy. Dessert was a mini Christmas pudding with custard and cream - delish! To ensure that everyone knew what we were there for, the table was topped with Christmas decorations, including a Christmas cracker that contained a stunning green paper hat. It was definitely a fun evening, and I can highly recommend it. At $30 a head, it was also a bargain.